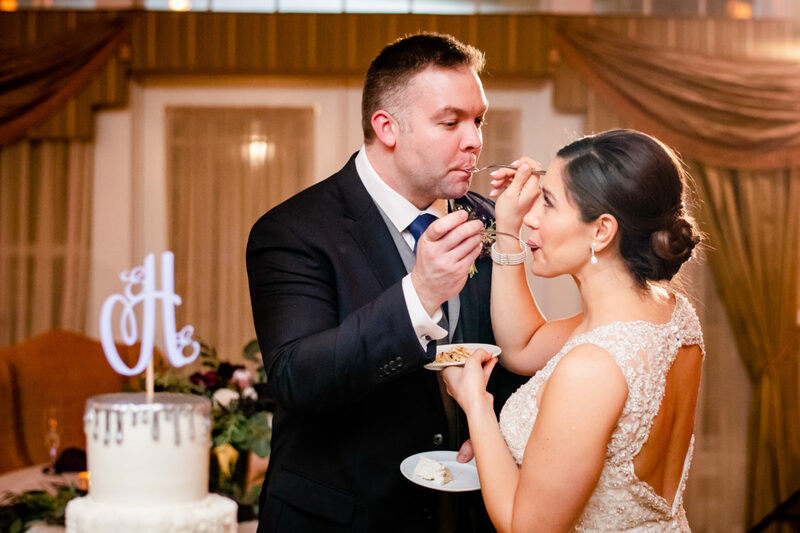 January 2019 Wedding of the Month ~ Elyse Baccino & Eric Hall - RiverCrest Weddings - Montgomery County, Chester County & Philadelphia's premier wedding venue. 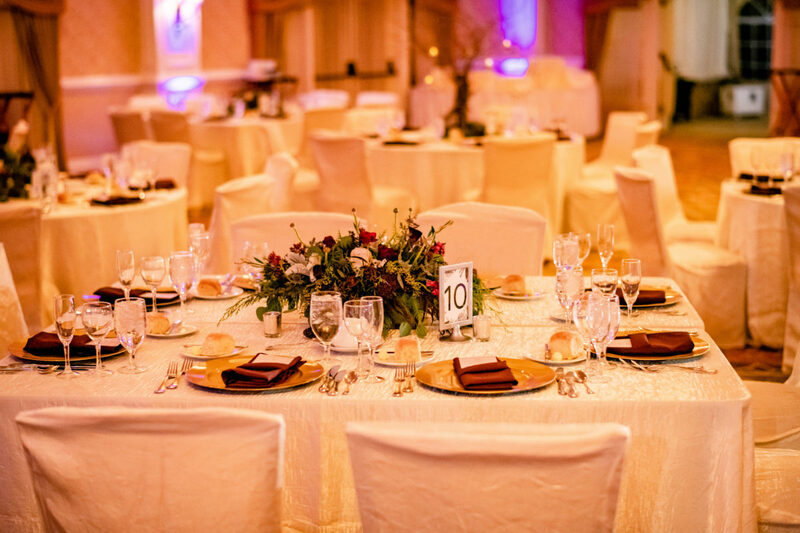 We originally chose RiverCrest because it is an all-inclusive venue that offered us the quality of food and beverage we desired. The staff was willing to help us create our ideal wedding. 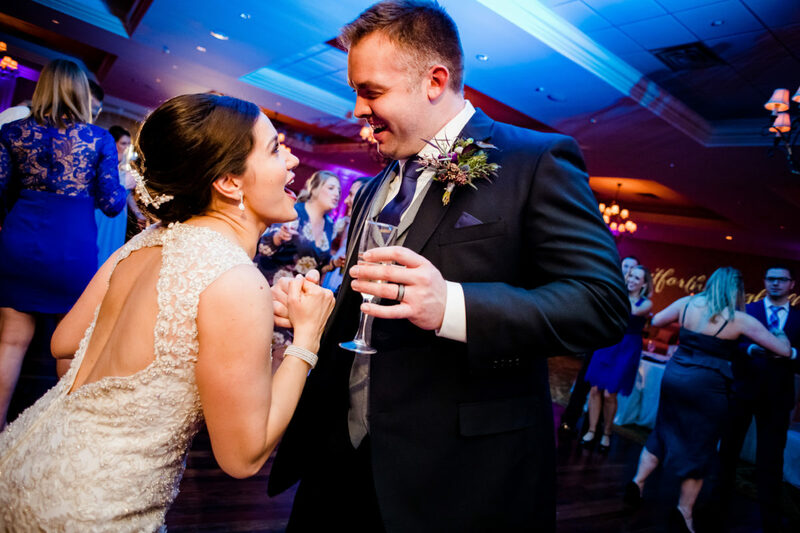 We loved the oversized dance floor, the flow of the three spaces available for our reception, and the fact that we didn’t have to plan many of the logistics for the reception. 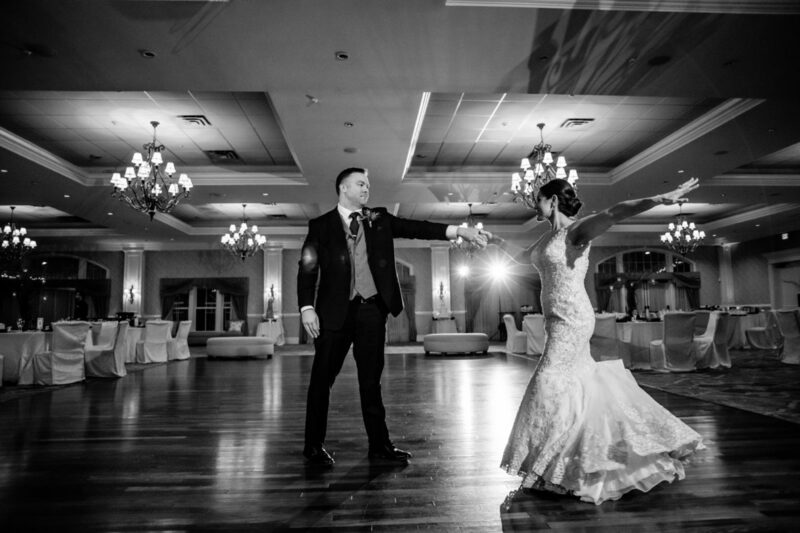 Our favorite wedding moment was our “first look” of the ballroom. 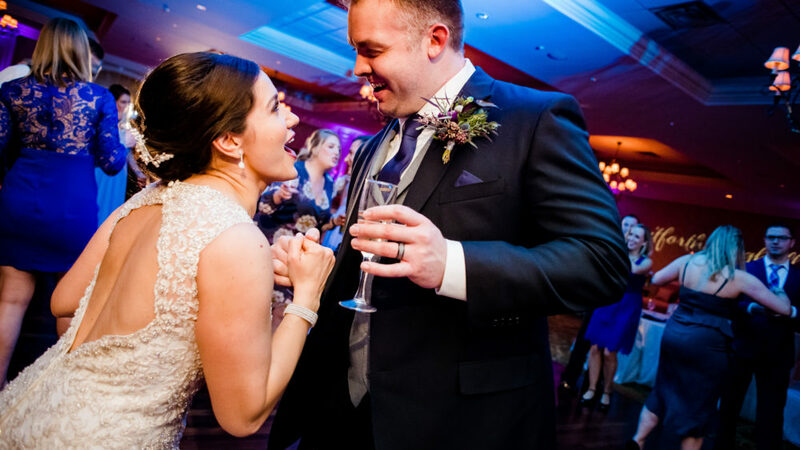 Our DJ played our first dance song, and we practiced together in our beautifully set up space with just our photographers to catch the moment. We spent 9 days in Saint Lucia after our wedding and it was glorious to leave the cold weather behind! Don’t worry about the planning portion of your reception! The RiverCrest staff has the details of the reception covered! And be sure to enjoy the reception because it flies by! 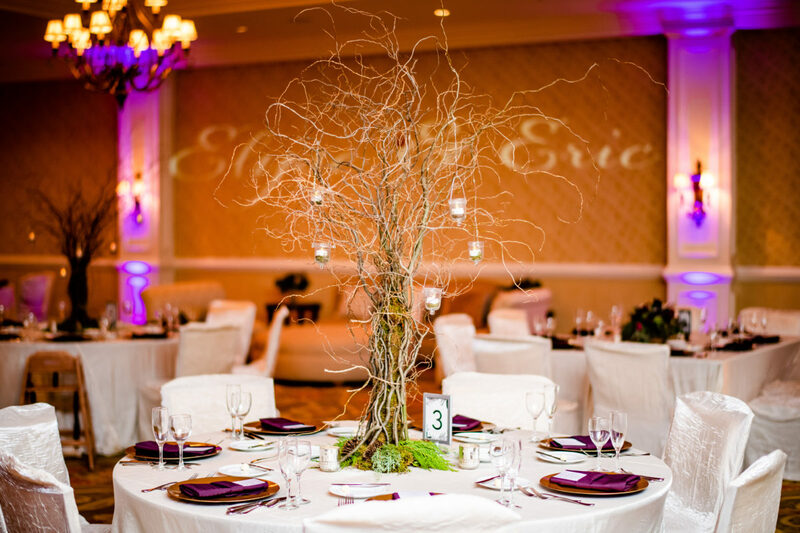 Customizable Ballroom layout features both round, square, and rectangle tables, custom placesettings, custom linens and chair covers!